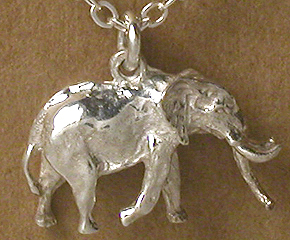 Sterling silver carved African Elephant charm. So perfect he can stand alone on the table. Not hollowed-out cheap one sided manufactured item. 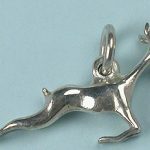 Ideal for use in charm bracelets or a simple pendant by itself, or part of any other quality jewelry item. 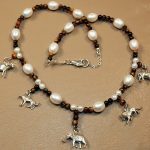 A perfectly sculpted 3D African elephant charm in solid Aregentium tarnish resistant 935 sterling silver. One of the “Big 5″ animals. 3/4″ wide and 1/2” high. (Approx 2cm by 1.3cm) Chain not included.